Everything in your garden begins with the soil. According to the Master Gardener Handbook, “perfect soil” consists of 25% Air, 25% Water, 5% Organic Matter and 45% Mineral Matter. We classify soils depending upon the size of the soil particles. Soil Particles range from large or “Sandy” to medium or “Loamy” to very fine or “Clay” with Loam being considered the best for growing plants. 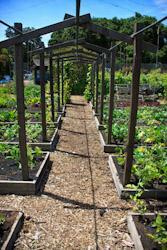 Here in Alameda County, most areas have clay soil, but there are a few places with sandy or loam soils. Any type of soil benefits from compost. 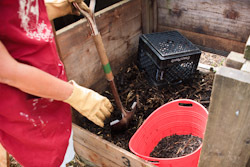 Not only does it have nutrients that improve soil fertility and help plants grow strong and healthy, compost increases water retention in your soil so you don’t have to water as often. 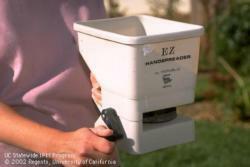 Adding compost will save money on your water bill and you can make it in your own backyard for free. Instead of sending your yard trimmings off to the landfill every week, you can turn these recyclable organic materials into rich compost for use in your garden. Garden soils are rarely fertile enough to supply all of the nutrients required for the best growth of plants. Nitrogen is naturally low in almost all California soils, and soil in many regions of the state is also low in phosphorus, so these nutrients should be added to the soil before planting. Most California soils have adequate amounts of other essential plant nutrients, but poor growth of vegetables and other plants may indicate a deficiency of one or more nutrients. Soil tests, or consultation with a Master Gardener, can help you decide whether other nutrients are needed. 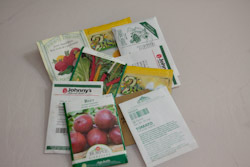 Many of us are intimidated by the seed packet display in the nursery, and we choose to purchase the seedling plants already prepared for us by growers. If you have not tried to grow vegetables from seed before, you will find that it is not only easy to do, but economical, fun, and extremely rewarding. Another benefit is the wide selection of varieties available from seed catalogs. Growing different varieties is important for an extended harvest and to find plants that grow well in your area. 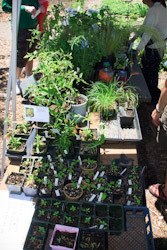 Vegetable plants sold in seedling form are generally available in only one or a few varieties. If you prefer to not experiment with seeds, or are just in a hurry, purchase young plants from the nursery for transplanting into the garden. Compared to growing from seed, buying young plants is easier and faster and gives instant results, however this convenience comes with some sacrifice. Locating a nursery that sells high quality plants, finding a good selection of varieties that grow well in your area, and having the availability of varieties at the proper planting time are all potential challenges. And even if you are growing from seed, you will end up with young plants ready for transplanting, and so transplanting becomes a segue between the seeds and the growing garden plants. We all know the idiom “you reap what you sow”, however home vegetable gardening involves more than just sowing seed and then harvesting the crop. Between the sowing and reaping is a good deal of monitoring, watering, fertilizing, controlling pests and weeds, etc. Initially the garden must be planned, soil and irrigation system prepared, and which crops to grow must be carefully considered to make the most efficient use of space and to allow for the growth of both cool- and warm-season crops in the same physical space. Planning also minimizes the reuse of the same beds for the same crops, which reduces disease. 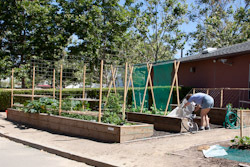 There are a variety of reasons for building raised beds for vegetable gardening. Reasons include compacted/clay soil, soil that has been tested positive for lead (often from old paint), a sunny spot that happens to be in a driveway. For some, raised beds can provide a dual function of growing food and delineating outdoor space. Raised beds can be any height and built from a variety of materials, ideally ones that are being reused for this purpose. Raised beds sometimes have a bottom (with drainage holes) if they are going to be on asphalt or to keep out gophers (wire mesh bottom is cheapest and most effective). 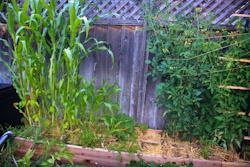 There are a few things to keep in mind when you decide to put a raised bed in your garden. Often, the best way to deal with pests and diseases in a vegetable garden is by avoiding them altogether. You can do this by changing the timing of your planting of a specific crop so that you avoid a pest altogether or you can select a disease resistant variety of a susceptible vegetable crop. You can also use things like barriers, traps or protective covers to exclude a pest from your crop. You’ve designed, planted and tended your garden and now it’s time for the payoff – the harvest. 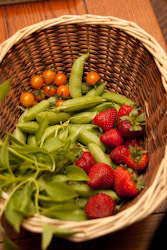 If you’ve planted a variety of crops they will ripen at different times, so you need to walk through the garden several times a week to look for crops ready to be picked. Some crops like lettuce can have a long window for harvest (especially in cooler months) but others such as zucchini or sweet corn must be picked within a fairly short window or they become monstrous or ripen beyond their peak flavor and their quality is diminished. It is best to pick produce in the morning, before they wilt in the afternoon heat. If you must harvest in the evening, you can rehydrate greens in a tub of cool, clean water. 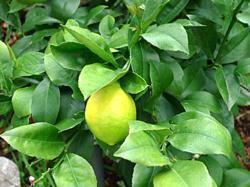 There are many factors to consider when selecting a fruit tree for your garden. One of the most critical is chill hours. Chill hours are the number of hours at 45°F (7°C) or less that the fruit tree requires each winter in order break dormancy and flower and bear fruit the next season. A second factor is how much fruit you can eat, process or give away. 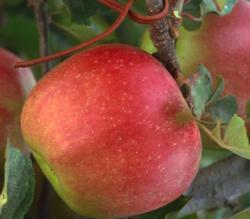 A mature apple tree, for example, can provide 100 lbs of apples at harvest time. Finally, you need to consider how much space, ideally in full sun, can you provide a tree with that could grow to 15 feet tall and 10 feet wide. 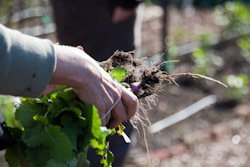 The ideal planting time is December through March when nurseries stock bare root fruit trees. The best spot in your garden for a fruit tree gets at least 6 hours of sun, is out of the wind, and can be easily watered. The hole you dig should be twice as wide as the spread of the tree’s roots, but not too deep. 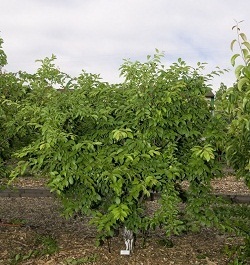 The graft union (where the rootstock is grafted onto the type of tree purchased) should be 2 to 4 inches above the soil, and the tree should be on top of a small mound with sloping sides when planted properly, especially in heavy clay soils. Trees should be watered deeply after planting. Growing your own fruit, whether its apples, peaches or pears, requires that you plant your tree in a location where it receives at least 6 hours of sunlight a day during the growing season. 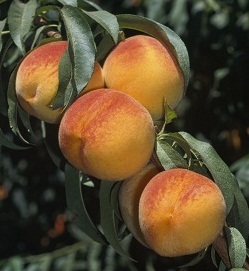 Sun, plus regular irrigation are the two keys to successful fruit production. Fruit thinning is also very important because many fruit trees will produce more fruit than their branches can hold, especially when trees are young. Managing pests and diseases and fertilizing are all aspects of growing your own fruit. Once a fruit tree has been properly planted, its growth form should be trained by pruning and other practices. Correct training will allow the tree to make fruit at a height that is easily accessible, and will keep the tree productive and healthy. Learning how to train and prune a fruit tree requires some basic knowledge and experience. This article will provide you with basic information about how a plant will respond to various pruning cuts, and how these cuts are used to create a tree form. 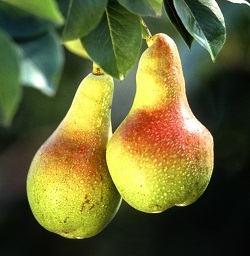 Some fruit will become fully ripe while still on a tree (Santa Rosa Plum and apples) while others (European pears and avocados) need to be harvested and put into cool storage to finish ripening. Some citrus fruit can be held on a tree (some mandarins) while others need to be picked when ripe. When harvesting most fruit, you want to twist and pull the fruit up as opposed to down. (Persimmons, however need to be cut from the tree.) Carefully put fruit into your basket to minimize bruising or breaks in the skin. Harvesting when it’s cool (like in the morning), and cooling fruit as soon as possible, will help promote quality and shelf life. Once your fruit is harvested, you can decide if you want to eat it fresh, freeze, can, dry or cook it.